My name is Howard Koutney, and I am the owner and operator of Forté Talent. Are you planning an event in Florida? Forté Talent Inc. can provide you with the DJ Entertainment you're looking for! We specialize in creating just the right mood for your event. Whether you're planning a Wedding for Fifty people, or a Corporate event for Two-thousand, our vast experience and musical knowledge will get the party started! I am the Secretary of the Tampa Bay Chapter of the American Disc Jockey Association (A.D.J.A.) and have been a National Member for five years. I am also a memeber of The Tampa Bay Bridal Association, and The Greater Brandon Chamber of Commerce. I have been certified and recognized as a professional entertainer by The National Association of Mobile Entertainers. I attend meetings, classes and conventions to constantly raise my standards and learn the latest trends in entertainment and keep abreast of the newest trends in D.J. technology. I am licensed and insured and all of my music is 100% legal. I've been all over the State of Florida as a Wedding D.J., Corporate Party DJ, Disc Jockey for Private parties, and Nightclub D.J.. I've worked as a Radio DJ, Master of Ceremonies, I've traveled as far North as Conyers, Georgia, and all over Florida. Naples, Ft. Lauderdale, Jacksonville, Miami, St. Petersburg, you name it! 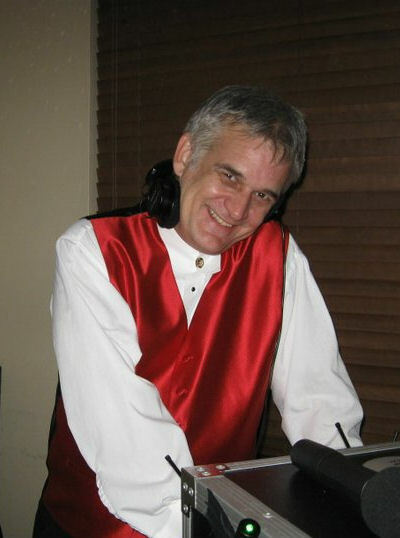 I work mostly as a Tampabay DJ and Orlando DJ, but I travel quite often, and have performed at many of the most popular vacation destinations in Florida. Some places you might recognize like, The House of Blues, and The Hard Rock Hotel, in Orlando, The Gaylord Palms Resort in Kissimmee, Florida, The Swan and Dolphin Hotels on Walt Disney World property, The Don Cesar Hotel on St. Petersburg Beach, and many more! Whether you need a Mobile D.J. Service in Florida, Interactive characters, look-a-likes, or tribute artists, I know a lot of people in the business! Together, we can come up with a plan to suit your needs and vision and make you dreams come true! Take a look around our website and “Services” area and see why Forté Talent Inc. should be your choice for your “Once-in-a-lifetime "event!